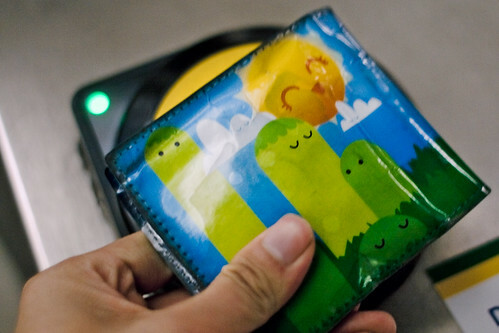 You can view the story of one of our customers here… combining RFID, subways, the sun, and Poketo wallets. I do something similar with my garage key card. I love to see how peeps use their Poketos. I have some friends that put pictures in the coin part and I’ve also seen others add to the design with stickers. This wallet is pretty old school and has been sold out for I think a couple of years now. I have my personal, secret stash of course. Dig it.